May 15. 2012 | By Valerie C.
After the relative commercial success of 2010’s Teen Dream, the Baltimore-based duo of Victoria Legrand and Alex Scally were thrust to the forefront of the dream-pop sound. They don’t deviate much from the transfixing quality of the genre with their fourth full length, Bloom. Bloom, seems to fit the title of the album. As it is filled with beautiful and haunting layers that slowly reveal itself with each song and every listen. “Lazuli” is synth and guitar synergy wrapped in Legrand’s effortlessly airy delivery. “Other People” is catchy dream-pop bliss. 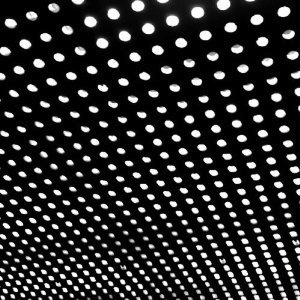 “All I wanted comes in colors, vanish everyday,” laments Legrand on the mesmerizing “New Year.” Beach House’s true talents lie in how much pleasantry they can invoke, even with a steady stream of melodies swirling with melancholy. Bloom, finds Legrand and Scally furthering their place in the dream-pop space. Each track is an exploration into the aural world Beach House has painted for us, inviting us to take it all in and come visit for awhile. A captivating and lovely listen, from beginning to end.